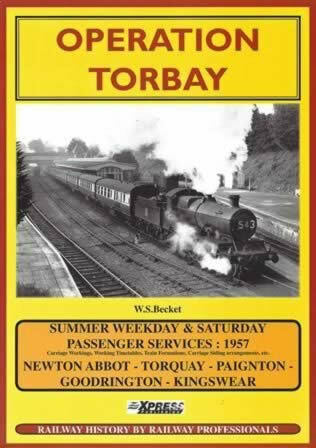 Operation Torbay - Summer Weekday & Saturday Passenger Services: 1957 - Newton Abbot - Torquay - Paignton - Goodrington - Kingswear. Carriage Workings, Working Timetables, Train Formations, Carriage Siding Arrangements, Etc. 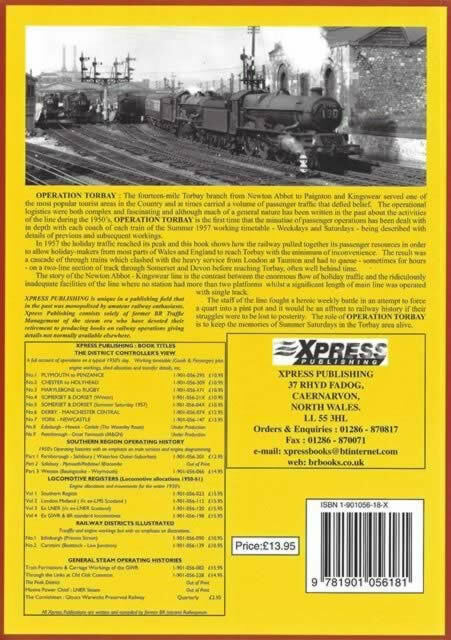 This book has been written by Becket and was published by Xpress Publishing.